Every child needs to know they are loved by a great God! 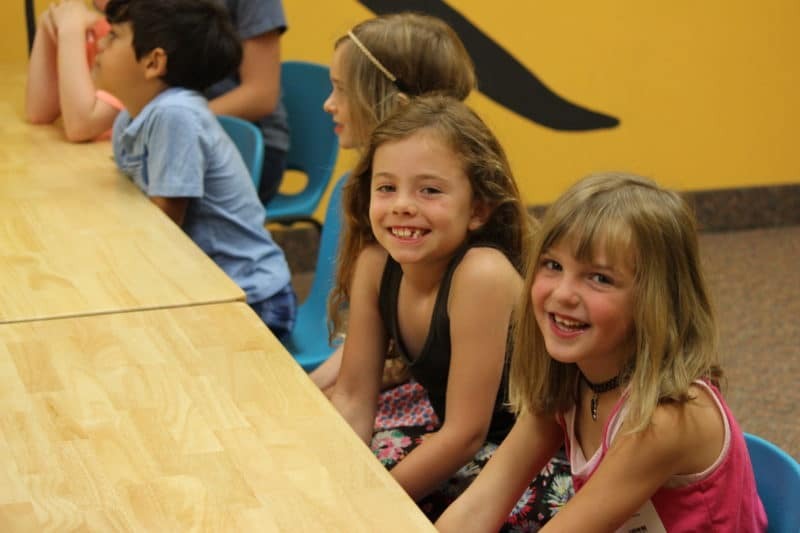 In SG Kids, we provide a caring and interactive environment where kids can hang out with friends and learn about Jesus. For kids aged birth-6th grade, our SG Kids program uses intentional, age-appropriate teaching so each child can experience the love of God, engage in real conversations about faith, and learn what it means to live for Jesus. We use a classroom check-in and check-out system to ensure each family feels secure and can enjoy our main worship service with peace of mind. All of our volunteers and staff members working with kids are required to complete background checks before working in our facility. If you plan on visiting with a child, fill out our registration form to streamline the check-in process. What do you have on Sunday mornings for kids? All children 4 years-6th grade are invited to join us every Sunday at 10 and 11:30a (September-May) and 10a only (June-August) for a jam-packed hour of fun and engaging worship, Bible lessons, small groups, and activities. Our nursery is open at the 10 and 11:30a services for children birth- 3 years. What do you have on Wednesday nights for kids? On Wednesday Nights, kids ages 4 years-6th grade can join us from 7-8:30p (September-May) or 5th & 6th Graders can join us during the Summer from 7-9p (June-August) for our for an engaging Bible lesson complete with crafts, games and snacks. The nursery is open for ages birth-3 years on Wednesday nights (September-May). 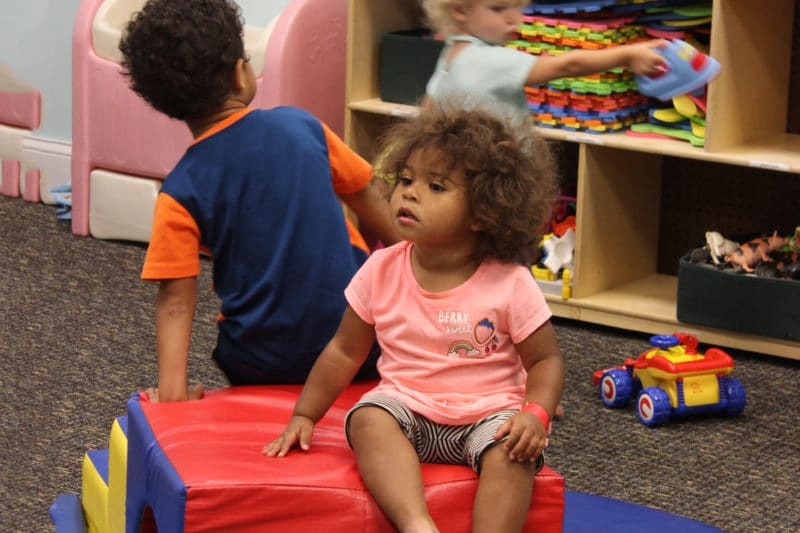 Equipped with a well-trained staff, our nursery is a safe place where your little ones can grow and learn that Jesus loves them. The nursery is open at the 10 and 11:30a services on Sunday mornings. Childcare is offered for many church events and throughout the week. The nursery is open on Wednesday nights September – May. All Nursery Managers on staff are fully screened and trained in all policies and CPR/first aid. Complete with exciting games, yummy snacks, and fun Bible lessons, our SG Kids program shows kids who Jesus is and what it means to be loved by a great God. All kids ages 4 years-4th grade are welcome to join every Sunday at 10 and 11:30a (September-May) or 10a (June-August). 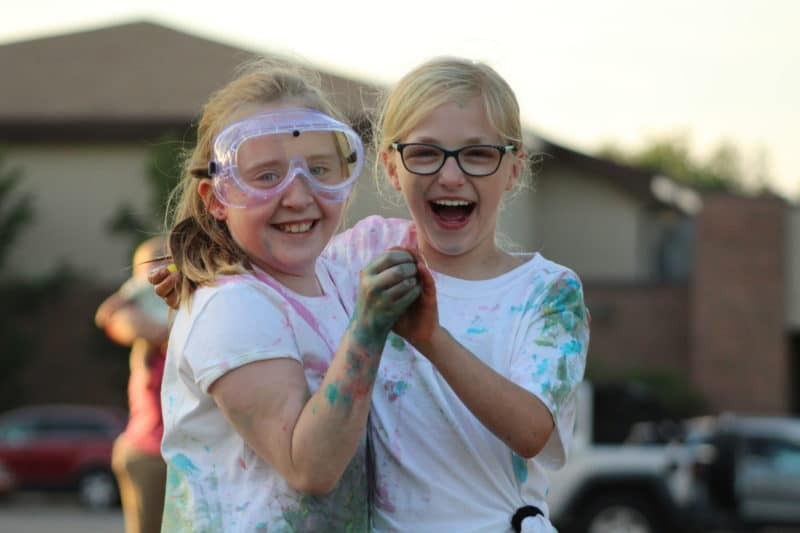 Kids who have completed Kindergarten through 5th grade will have a blast making new friends, growing in their relationship with God, and participating in camp activities such as rock wall climbing, flying squirrel, games, and fun songs at SpringHill Camp! Cost is now $199 through June 30! If you love working with kids and have attended Shepherd’s Gate for six months, contact Tricia Mayhew at [email protected] to get involved.